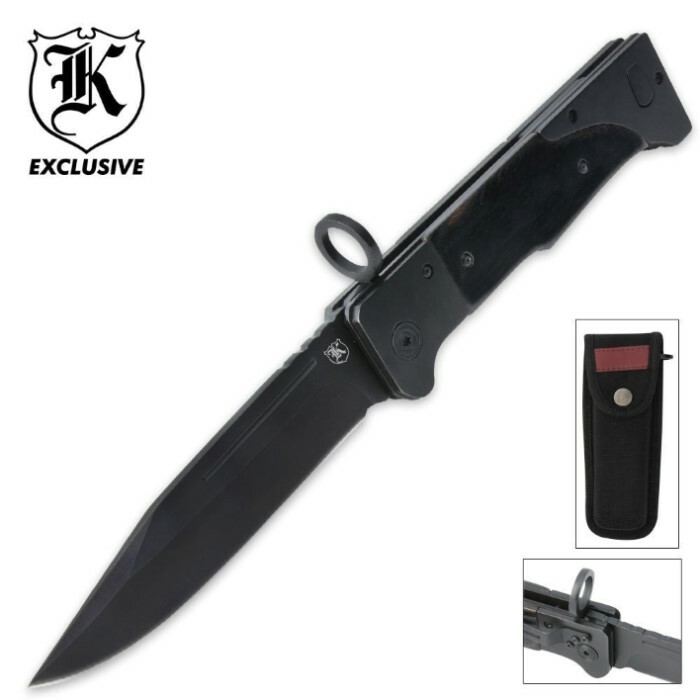 AK Tactical Pocket Knife Black | BUDK.com - Knives & Swords At The Lowest Prices! The AK-47 is an unbreakable weapon, so why not pair it with this unstoppable folding knife for the ultimate tactical pair.This 11” overall knife boasts a 5” 440 oxide coated steel blade and includes a nylon sheath and a durable metal pocket clip. You'll surely be the envy at the gun club with this bad blade on your side.11” overall. 5” blade.